A first session starts by filling a Client Intake Form and reviewing the Agreement of Services. The session then continues with some “detective work,” destined to expose the contributing factors to the issue(s) you wish to work on. Then several rounds of tapping will help release the emotional knots underlying the issue at hand. Please be aware that depending on how many aspects there are, you might clear your issue in one session or it might take several. Long-term issues with many contributing components will need multiple sessions. During a session, it’s possible you might experience some tears or emotional upsets that will subside quickly with more tapping. I see it as my duty to protect my clients from intense emotions and I always tread very carefully. 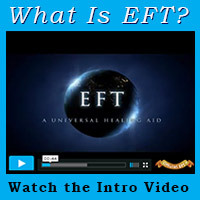 EFT is not about re-traumatizing oneself through vivid connection to painful memories – but if some unforeseen negative charge surfaces without warning, it will be quickly and effectively deactivated. If there are private details that you’d rather not share with me, I completely understand. I actually don’t need to know exactly what happened, as long as I know how you feel about it, I can help you release it. Right after a session, you might feel relaxed, energized, or on the other hand, sleepy. Until you know how your body responds, please allow some transition time before your next activity. After a session, drink plenty of water and get a lot of rest. That will help your body and mind integrate the results of the session. Fill in the Client Intake Form and the Agreement of Services in advance. Fill in your own Self-Exploration Sheet. Familiarize yourself with the tapping points. Have a glass of water and tissues ready beforehand. For phone sessions, please do not use the speaker phone option. If holding the phone with one hand while tapping with the other is too uncomfortable, please purchase a headset. Payment is due on the day of the call through Paypal or check. If you haven’t booked an appointment yet, click here.